How many of you brush your teeth every day and get regular dental checkups, or visit your doctor for yearly physical and wellness check ups? It is common sense in this day and age, as a part of responsible living to do so. But what about your spine? 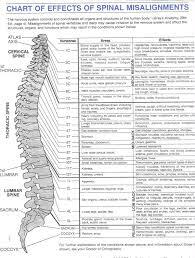 There are 33 vertebrae that compose the spine: 7 cervical, 12 thoracic, 5 lumbar and 5 fused sacral vertebrae and 4 fused coccygeal vertebrae. These bony structures house the spinal cord which is the main pathway of information from your brain to every nerve in your body. When there is a misalignment of the spine that impinges these nerves, it will affect the ability of your brain to communicate to every organ of your body. It is mind-boggling to me, then, why people don’t make regular adjustments part of their commitment to living a healthy lifestyle. One of the most frustrating parts of my job is trying to explain to someone who can’t understand why, that when they simply bent over to pick up something, their back went out. Think of it this way, your body will adapt beautifully…until it can’t, kind of like the straw that broke the camels back. Symptoms are the last thing to show up, and usually the first to go. So, when someone says, can’t you just crack it once and put it back? We say to them, it took a long time for your spine, connecting ligaments, muscles etc. to get this way, it won’t reverse overnight. Do you where braces for one day? or better yet, take them off when the teeth appear straight? No, bones have a memory, and take a while to adjust. Would you only brush you teeth once and think you’re done?, or avoid getting a physical because you don’t feel bad? Of course you wouldn’t…that would be foolish. Sadly, though, sometimes the problem can’t be fixed, just like teeth decay over years and our body’s systems deteriorate from neglect. Some teeth have to be pulled, people die from sickness and for the spine, surgery may be the last resort. Both my husband and I would love it, if the process was easier. But when you neglect your spine for years, whether it be from simple ignorance or laziness, it isn’t the fault of the doctor when it can’t be magically fixed overnight. While we have great sympathy for people who, when they see the x-rays of their spine for the first time and, range from startled to horrified by what they see, one or two adjustments won’t magically put the spine back into alignment. It takes time and commitment, and a great mind and hands…which my husband has ;). As much as we want you to get your health back, success depends on how well you work with your doctor and follow through…every nerve in your body depends on spinal health. Most of our practice is wellness oriented. Most practice members have realized over time, that while they may have started chiropractic care because of an acute problem, they stay because when regular adjustments are a part of their lives, they feel better, get sick far less and have learned a plethora of information through our clinic of how to continue to live a healthy life. Our classes are free because we want to change the paradigm…from sickness base health to wellness health. Give your spine the time! Visit your chiropractor.